The Olympus M.ZUIKO 40-150mm f/2.8 PRO Micro Four Thirds Lens is a compact but durable telephoto lens for Micro Four Thirds mount camera bodies. It features a splash and dust proof metal lens body and a friction-free Dual VCM (voice coil motor) system that is used for quick and near-silent autofocus performance. It is also equipped with a "snapshot" ring that is pulled back for manual focus control, which some find more intuitive and quicker than flipping an AF/MF switch. 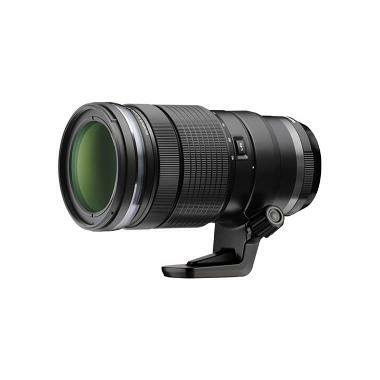 This lens is ideal for wildlife, safari, and sports shooting. • Floating optics can be heard moving inside the lens both when on a camera (when camera is turned off) and off the camera. When powered up, the optics are locked and will not move about/make noise. This is normal.